Combine the flour, salt, and sugar in a food processor. Then add the butter and process. Add the ice water in slowly through the top opening and pulse until a dough forms. Divide the tough into two balls, flatten each into a disc (aka big pancake) and wrap it in plastic. Chill in the refrigerator for at least 1 hour. Combine all the ingredients in a large bowl and gently mix with your hands. To assemble the pies, flatten out the pie dough and use a cookie cutter (I used a ramekin) to punch out a round shape. 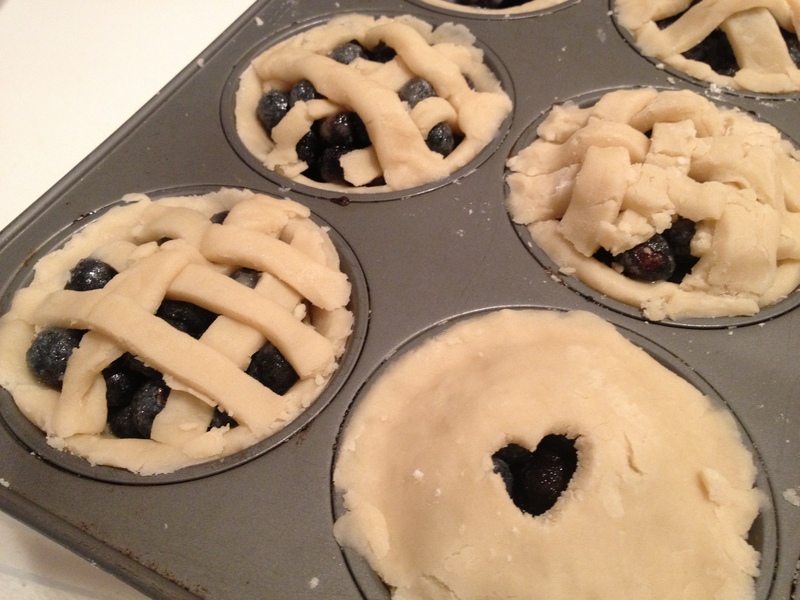 Place the pie dough round inside a muffin pan mold. No need to pre-grease, there’s enough butter in the pie crust (trust me). Use your fingers and gently press the dough down until the bottom and sides of the muffin pan, doesn’t have to be perfect. 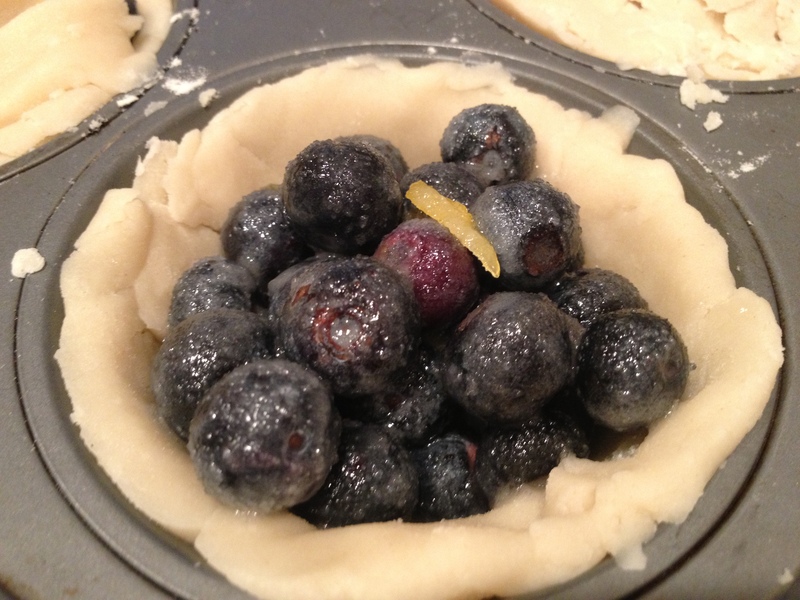 Fill the blueberry filling to the top. 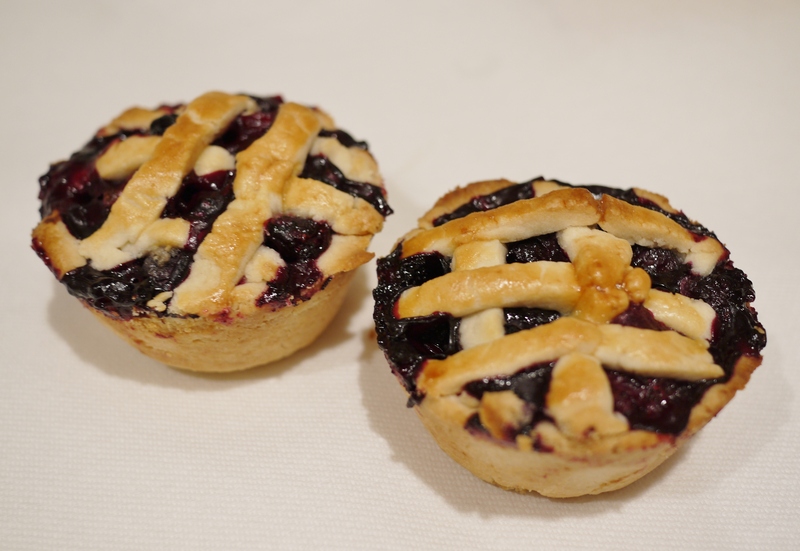 Use the remaining dough to make pie tops. I used a lattice pattern at first. But then I got really lazy and started just rolling out full tops and punching holes in them for air. By the end, I was so exhausted that some of my pies didn’t have tops. Once everything is assembled, brush the tops with an egg wash (aka beat an egg and brush the liquid on top). Bake at 425 degrees for 20-25 minutes. 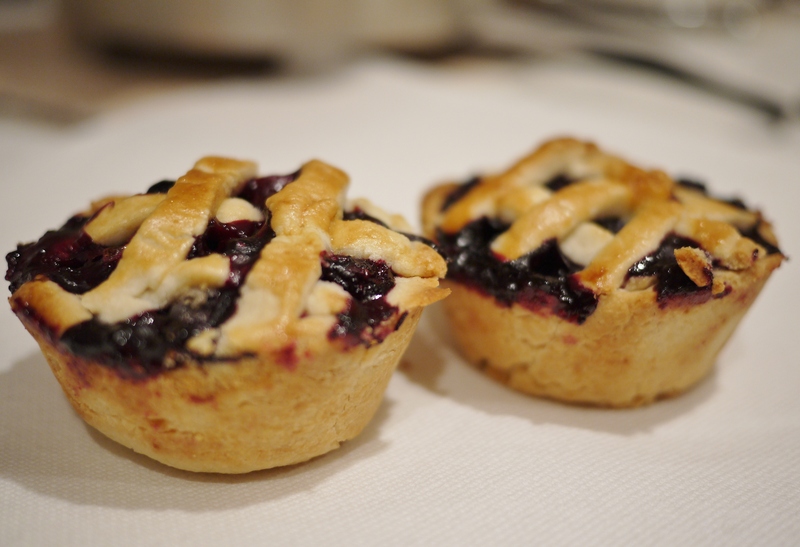 Start checking on them at 20 minutes if you want picture-worthy or gift-worthy pies because the blueberry filling starts to burst quickly over the pie tops after 20 minutes.